Urban lifestyle hotel brand INNSIDE by Meliá has announced the latest addition to its growing portfolio of global properties with the opening of INNSIDE Hamburg Hafen. 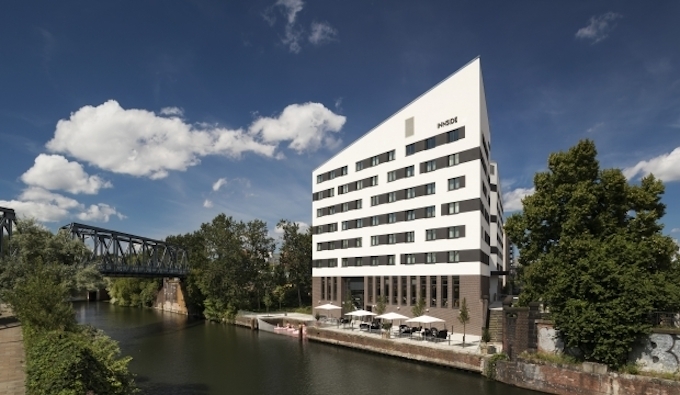 INNSIDE hotels are known for their strategic city locations and the latest property is testimony to this with a prime position in the Hammerbrook district of Hamburg. Near the Hafencity quarter and with a dedicated pier on the Mittelkanal channel, the hotel is a short walk from the city centre and the world-renowned Speicherstadt district, making it ideal for pleasure seekers as well as modern work trippers. The hotel offers 207 stylish rooms and suites across six levels, their sleek design dominated by monochrome white, black and silver colouring, creating interesting accents due to subtle, indirect lighting to complement the luxurious wooden texture of the floors. All rooms and lifestyle suites boast king or queen-size beds, individually adjustable air conditioning, a 40-inch LED television set, a free soft drink minibar, free Wi-Fi, desks including a media hub and high-speed Internet access, as well as open-plan bathrooms with a rain shower. Kai Lamlé, Managing Director Germany of parent company Meliá Hotels International, said: “At Innside Hamburg Hafen, the spacious and impressive lobby with an integrated bar and restaurant is divided by various pieces of furniture into stylishly multifunctional, shared spaces where guests can work in a relaxed atmosphere, eat in company, or simply relax on the comfortable furniture. The chic and modern lobby replaces the classic reception desk with a digital check-in/check-out machine, a merchandising corner and a communal table, leading guests to the ‘Werft’ bar and restaurant area with its large waterfront deck overlooking the Mittelkanal channel. With a casually chic ambience, a variety of entertainment and a high-tech communications hub, ‘Werft’ offers hotel guests and locals an array of international crossover cuisine with a local touch. The hotel also features a fully equipped gym with the latest fitness equipment, sauna area including relaxation and massage rooms, and more than 230 square metres of conference space. Innside Hamburg Hafen, also underlines INNSIDE by Meliá’s commitment to Germany, which, after Spain, is the second-largest European market for the Meliá Hotels International (MHI) group and 14 of Meliá’s 27 German hotels are Innside hotels.